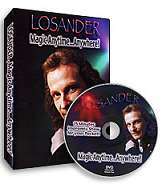 Pioneer Magicians in Rare Broadcasts on Three DVDs! 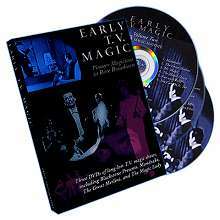 This fun and informative collection presents rare footage of magic in television's early years, full of great illusions to study and vintage shows to enjoy. The set opens with extensive archival videos of Blackstone Sr. with his commanding showmanship and warm humor as he presents his top pieces that made him a star for forty years. You'll see him in television and live footage in both black-and-white and rare color footage. Gerrie Larsen's The Magic Lady brought 1950s audiences her pioneering feminine magic in a surreal fairytale setting. Her delightful presence fills seven episodes here, including the elaborate pilot. The third volume, The Magic Matinee, preserves an array of little-known shows from a time when television explored new variety possibilities. The two mystery crime programs opening the Matinee feature a number of magic effects: pilots for Mandrake the Magician starring magic performer Coe Norton and The Great Merlini, based on Clayton Rawson's detective novels. Then you'll have fun watching the lighthearted and old-style television of little-known shows Mr. Magic with Norman Jensen and J.J., Fun with Felix, and You Can Do It, Too. 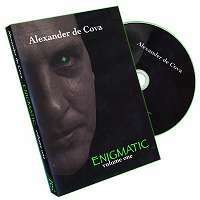 This three-DVD set has been created in collaboration with magic film historian William McIlhany, now with digitally enhancement and optimized sound.